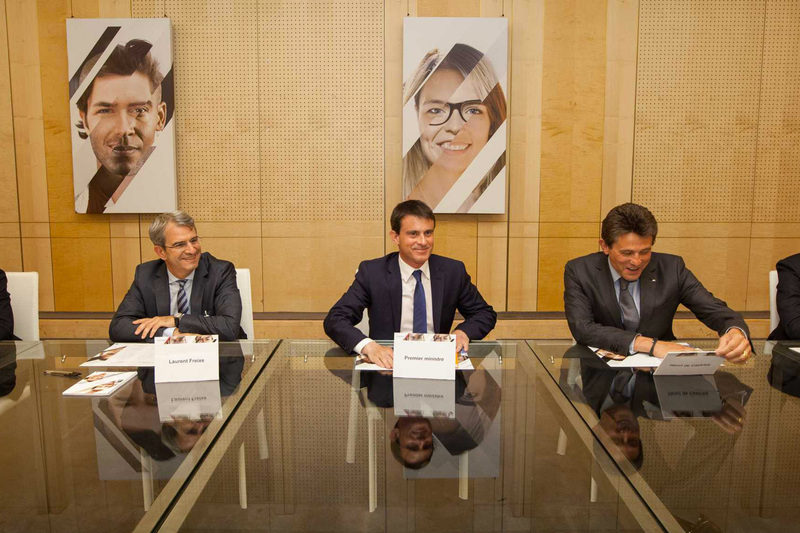 AXA is taking part in many youth initiatives. Around 310 people were on hand for the June 24th launch, along with 170 young people from various AXA entities. Three memorable moments from this day stand out: first, the workshop devoted to developing the employability of young people and developing opportunities for building successful careers. During the workshop, young people (in work study programs and internships or involved in the Frateli and Telemachus programs) talked about the support they got when they were trying to identify their professional aspiration, writing their CVs, preparing for interviews, joining the organizations that hired them - in the presence of tutors (interns and work study program participants) and AXA's volunteer sponsors from the Frateli and Telemachus institute. 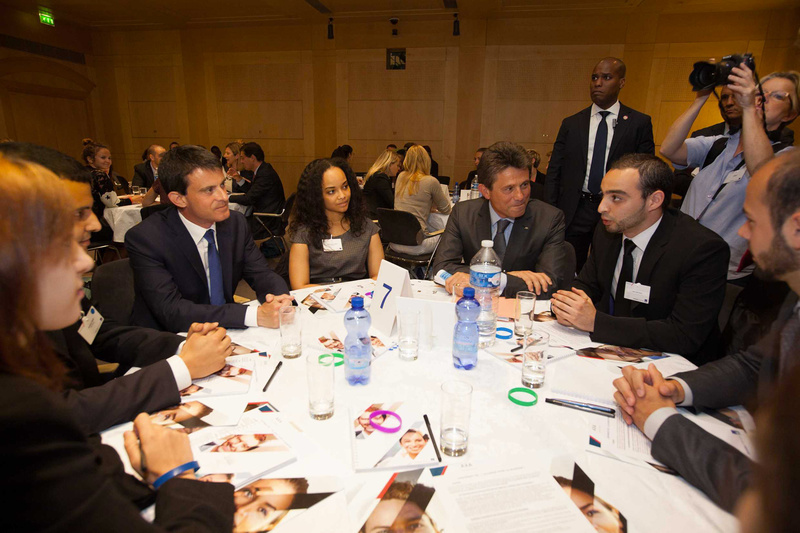 Chairman and CEO of AXA Henri de Castries, French Prime Minister Manuel Valls and Nestlé Europe Executive Vice President Laurent Freixe talked with around 80 participants about their feedback and the benefits for these young people. An informal get-together with twenty young people of talent from AXA and Nestlé, all under the age of thirty and from different European countries, was also organized. These young people, who are just beginning their careers, spent several hours discussing the challenges they faced when trying to enter the world of work and some tangible solutions for making it easier for young people to access employment opportunities. Most of them noted the gap between their initial training and their first jobs, mentioning that there was often little or no relationship between what they learned in school and the reality of corporate expectations. What emerged from these discussions were two top priority guiding principles and six concrete proposals, contained in a document that was submitted to Manuel Valls for consideration. 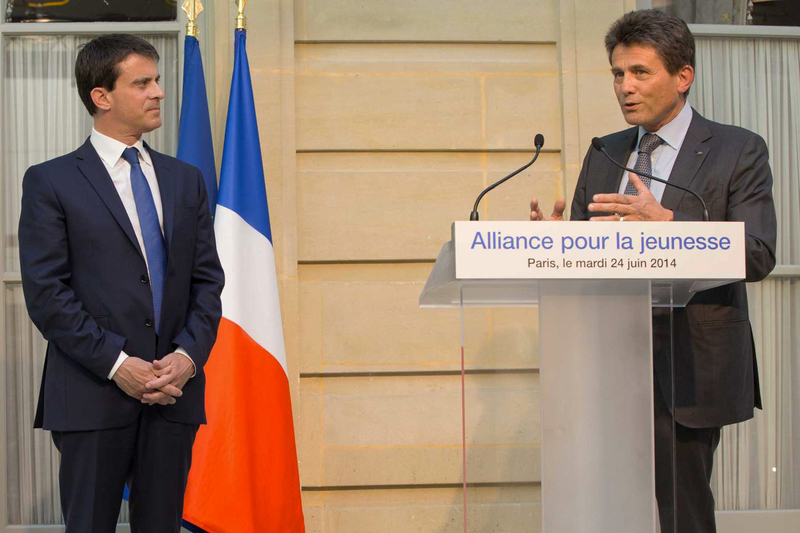 The third memorable moment came when Henri de Castries and Manuel Valls both gave speeches emphasizing the need to support youth employment initiatives. Henri de Castries presented AXA's commitments and stressed the importance of the positive role that businesses can have in the fight against youth unemployment.